To give online, proceed to the Potsdam College Foundation's secure giving form. Donations can also be added to your online ticket purchase. The arts provide us with a diverse array of benefits. They can be a vehicle for expression, introspection, learning and education, or simply a means of satisfaction. In order to provide these and the many other benefits of presenting arts events, generous financial and in-kind contributions are essential. Each year, ticket sales cover approximately 50% of our costs to present high-quality artists in Potsdam. All of your support will go directly to offsetting these costs. However, gifts designated to the CPS Endowment for the Arts are permanently invested in order to help ensure that performing arts experiences are available for future generations. As a donor, you would enjoy recognition such as acknowledgement in CPS programs, inclusion in lobby displays and invitations to special events. This recognition can remain anonymous if so chosen. 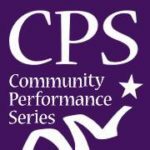 Please consider becoming a member of the CPS family! Join the many others who have come together to create great things through the arts. Donations can be made through our website or through the CPS Box Office. To discuss giving opportunities in more detail, please contact Executive Director Jason L. Dominie at 315-267-3763 or dominijl@potsdam.edu. We are grateful to the following individuals and organizations who have established endowment funds in support of CPS. As of July 30, 2018, total endowment principal is approximately $1.6M.